El Rancho de los Golondrinas, translated to The Ranch of the Swallows, is a living history museum situated on the old El Camino Real, the Royal Road that extended from Mexico City to Ohkay Owingeh (San Juan Pueblo), New Mexico north of Santa Fe. This historic ranch, dating from the early 1700s, provides today’s visitors with a peek into New Mexico’s storied history at the 200-acre museum. Situated in the La Cienega Valley, the waters of La Cienega Creek and surrounding springs had long made a lush oasis in an otherwise semi-arid environment, where people had lived for over 5,000 years. Spanish settlers arrived in the valley in the late 1600s and soon established the El Camino Real de Tierra Adentro. 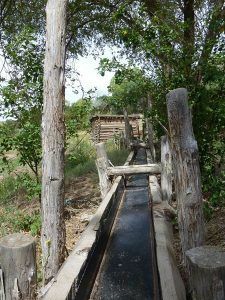 The Spanish also built two important acequias (irrigation ditches) which still water the fields and gardens of the La Cienega Valley. The “Mother Ditch”, which bisects Las Golondrinas, is on the National Register of Historic Places. In the early 1700s, El Rancho de los Golondrinas was established at the site due to its ample water supply. Situated along the Santa Fe River Canyon at the foot of the Caja del Rio Plateau, the ranch soon became a stopping point along the El Camino Real de Tierra Adentro and provided trade goods to travelers. The site was even mentioned by the great military leader and governor, Don Juan Bautista de Anza, when he stopped here with his expeditionary force in 1780. Conflicts were common between the Spanish and Native tribes, but by 1786, through the efforts of de Anza, a treaty between Spain and the Comanche led to a significant decline of these devastating raids. 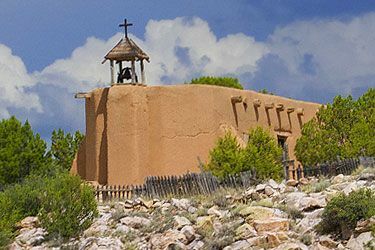 In 1821, when the Santa Fe Trail was open for trade, many goods were carried down the Camino Real to the markets in Mexico and El Rancho de las Golondrinas once again served as a stopping and trade stop. When the American Army of the West took possession of New Mexico in 1846, the area was enjoying relative prosperity. Today, many of the present residents of La Cienega and La Cieneguilla are descendants of these early settlers. Traditions of farming and a rural lifeway continue to define the fabric of the valley. 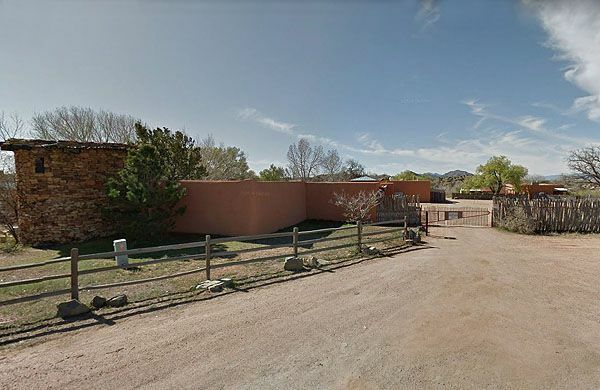 The rancho was home to the Vega y Coca family and their descendants for generations until it was acquired in 1932 by Leonora Scott Muse Curtin and her daughter, Leonora Frances “Babsie” Curtin. Leonora Scott Muse Curtin maintained a lifelong interest in the art, archaeology, and cultures of Spanish and Native American New Mexico and passed that love to her daughter. The younger Leonora was known for the founding of Santa Fe’s Native Market in an effort to save and reestablish traditional craft forms and techniques, and to provide local artisans with a source of income during the Great Depression. Leonora Frances married Yrjo Alfred (Y.A.) Paloheimo in 1946 and the pair began to transform the ranch property into a place where visitors could physically engage with the rich culture of the region. 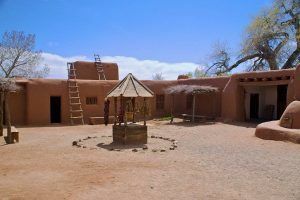 Due to their vision, the couple restored the existing structures on the ranch, erected new period structures, and moved in other historic buildings from the area. The museum opened in 1972 with costumed “villagers” who interpret the heritage and culture of 18th and 19th century New Mexico. 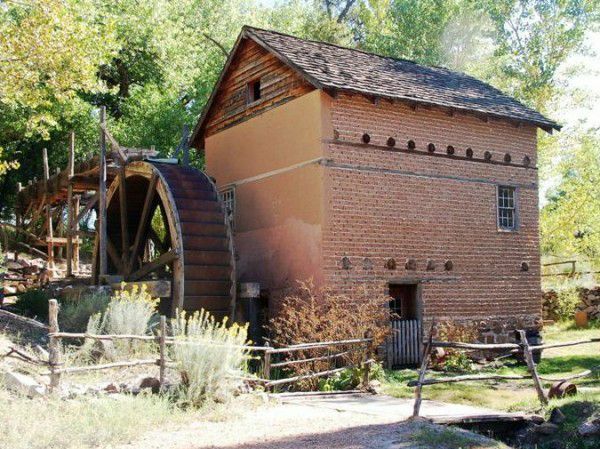 The 33 historic buildings include plazas, a mountain village, a working water mill, a church, schoolhouse, blacksmith shop, general store, winery, and other adobe and log buildings. Guides, dressed in period clothing, demonstrate weaving, hide tanning, milling, blacksmithing and the planting of crops. The old acequia (irrigation ditches) still runs through the ranch. Today, the museum is New Mexico’s premier living history museum. It is open for self-guided tours from June 1 through October 1, Wednesday to Sunday, 10 am to 4 pm. In addition, events and festivals are regularly scheduled at the museum. El Rancho de las Golondrinas has been seen in numerous Western films. This wonderful rancho is located about 20 minutes south of the Santa Fe Plaza at 334 Los Pinos Rd. Take Exit 276 off I-25, to the west frontage road, and turn right onto Los Pinos Road to the museum. Follow the “Las Golondrinas” signs.